The ace Lee Van Dowski pits his skills into a couple of invitingly deep cuts of tech house minimalism for Switzerlands Num records. 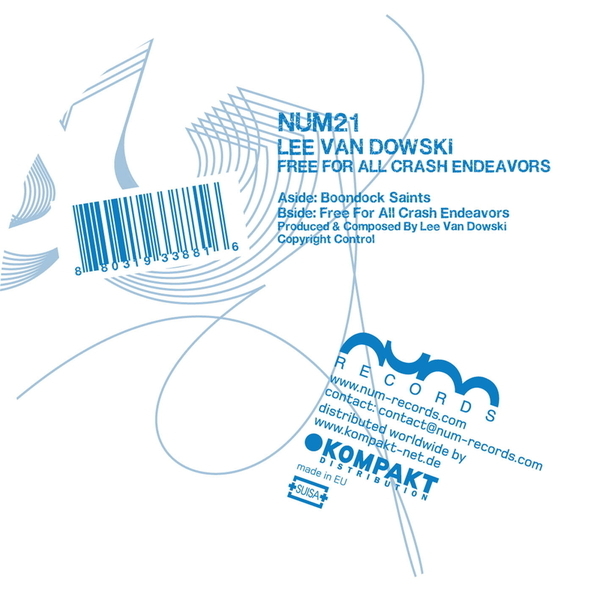 Coming from a sound design and composition background means that Van Dowski's track often have a higher sense of musicality than much of the rest of his minimal tech peers. On 'Boondock Saints' he weaves cinematic Mid-Eastern vocal drones with dramatic strings and a toned rhythmic muscularity, before providing soemthing a little less dramatic but equally effective for the dancefloor with 'Free For All Crash Endeavours' craeting a crispy bleeping tech houser for fans of Exercise One, Ellen Allien or the finer end of the tech house universe.